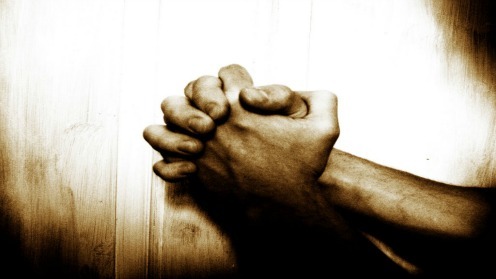 These are prayers I find helpful to pray in the midst of ministry and life following Jesus. 1) Lord, give me a forgiving heart in this situation. A forgiving heart is different from a willingness to forgive, or even actually practicing forgiveness. A forgiving heart rejoices in forgiveness. It forgives naturally (which is not to say its not difficult!). It moves towards forgiveness instinctively. A forgiving heart desires peace. It redirects conflict and often turns it to good. I want to have a forgiving heart. “A harvest of righteousness is sown in peace by those who make peace” (James 3:18). 2) Lord, help me to stay positive amidst negativity. Its so easy to get sucked up into negativity. Nietzsche said, “those who fight monsters should be careful lest they become monsters.” Its so easy to react, and in the process become tainted by what we are being reacted against. Its so easy to be dragged down. Its so difficult to stay above the fray, stay positive, stay focused on Christ. Vacation helps! So does prayer (and especially corporate prayer, because I’m not very disciplined in private prayer!). In order to stay positive sometimes, I have to persevere in prayer, and “pray until I’ve prayed,” as the Puritans used to say. 3) Lord, help me not to take this criticism personally. Its the most natural thing in the world to take criticism personally. At least it is for me. I have a huge ego (though it usually manifests itself in insecurity more than boasting). Its so easy to think that its all about me. But this is the opposite of true ministry. Sometimes we need to learn from criticism, but other times we need to ignore it and let it go right over our shoulder. A lot of times criticism has very little to do with the person being criticized, and so much to do with something going on in the life of the criticizer. When our hearts are full with Christ’s love, we are able to take criticism more objectively, and instead of defending ourselves being the primary goal, meeting the needs of the other person is. And that is true ministry. 4) Lord, give me hope for this person’s renewal. Its so easy to categorize, to label, to dismiss. Its easy to become cynical. That is a well-worn path, with few hindrances along it. Its hard to patiently hang in there with someone while they are backsliding. Its hard to hold out hope when it seems hopeless. But if the Lord didn’t do that for us, where would any of us be? I find it helps to pray for God’s vision for a person’s progress in Christ, and then ask for grace to genuinely hope in that. 5) Lord, how can I see my sin in this situation? This prayer is not easy, but it seems applicable in so many different kinds of circumstances. These days, my complaints about being busy are showing tendencies of over-work and mis-prioritization. When I overwhelmed by everything I have on my plate, it helps to ask, “why do I feel overwhelmed? What of this am I trying to do in my own strength? What of this is Christ calling me to do, and what am I putting on myself?” Even something as apparently simple as busyness can reveal disordered values in my heart. Your prayers are wonderful. I can remember when my 2 year old took every pot and pan out of the cupboards and made a mess in the kitchen. I said to the Lord, “Why does this disturb me? Will I remember this in 50 years?” Then I proceeded to leave the mess for my husband to clean up! We survived!